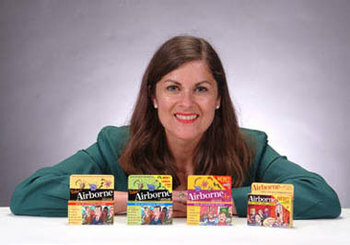 Victoria Knight-McDowell, the second-grade teacher who invented the popular Airborne cold remedy, announced today a new company that will market goods designed by individuals with no competence whatsoever in their chosen product line. Among the products to be featured by the new company will be a reading curriculum designed by linebacker for a professional football team, a computer operating system created by a professor in 18th century literature and a set of surround sound speakers built by a dentist. Knight-McDowell plans to bring the company public immediately through an IPO to be managed by Dunkin' Donuts.